When questioning people on the most exasperating part of decorating a room most will say that the room needs finishing touches and they are not sure what direction to take. Choosing art to adorn the walls ends up being very frustrating. There are many choices and styles. Are you looking for original paintings to invest in or are you on a tight budget and just want something you like and will be attractive hanging in your home? Do not buy art with the intention of turning a quick profit. Where is the artwork being placed? Measure the space so you know what size pieces you are looking for. Keep within the color palette of your abode. Do as much research in advance as possible. Take the time to study, compare and select. When purchasing an unframed piece it is important to consider the cost of the frame. The frame can be very expensive in itself. Watercolors need to be matted and must be behind glass as well. 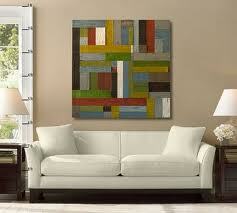 Paintings on Canvases that are wrapped often have painted edges and do not need to be framed, saving you money. Be aware that the unframed pieces will add a contemporary or transitional aspect to your décor. Determine what Painting style and medium you like. Are you into Abstract Art, Impressionism Art, Realism Art, Expressionism Art, or Surrealism Art? There are many mediums including the most popular; Oil, Acrylic, and Watercolor. Know the difference between an Original Oil or Acrylic Painting and a print. These mediums should be framed without glass. To the untrained eye a print can be mistaken for an original. An original painting usually has textured brush strokes, with rich and vibrant colors. Original paintings usually have a rough surface and uneven paint on the sides of the stretched canvas. A Print is a copy of the original painting. Also known as a reproduction. It usually has a flat image and lacks the true vibrant color of an original. Prints generally have even edges where the novice buyer typically will not look. Buying an original work of art should be an amazing experience for you as well as an investment opportunity. When purchasing an Original piece ask for the Certificate of Authenticity (COA). This provides assurance and verifies the authenticity of the painting you have purchased. 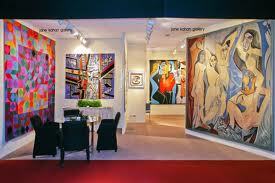 The COA is should be legitimate and come from the artist or a qualified dealer, agent or gallery. Newer galleries are a good place to purchase for your collection. Prices will be lower and more competitive. You will be helping the gallery with its start as well as supporting a young artist beginning a career. You will also have the opportunity to forge a new friendship that will enable you to be on the cutting edge of exciting gallery showings in the future. When investing in Art the most important thing to consider is that you really are attracted to the piece and you want to show it off on your wall. 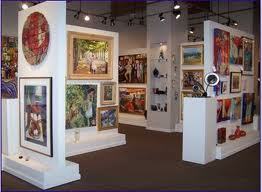 Have fun visiting galleries and looking at the artwork. Speak to professionals in galleries about works you find interesting. Find out background information on the artists. Art Fairs are great to stroll through. It is a nice day out in which you can mingle with the artists showing their works. It gives you the opportunity to see many styles and chat with the artists. Ask for business cards from the artists that you might want to pursue further. Do not rush to buy a piece unless it is truly something you love and are really enticed by. Art is like a romance; if you are honestly not attracted entirely then the love will wane and you will ultimately become disenchanted with your purchase decision. Read my article to learn how to hang your new artwork. Enjoy your quest for your new love and never be afraid to dance! Visit weberlifedesign.com for further inspired professional design advice! Good write-up. I certainly appreciate this website. Keep writing!